Steyning is a small rural town and civil parish in the Horsham District of West Sussex, England. William Palmer Robins; 1882-1959. William Robins originally studied architecture at Kings College, London and later studied at various London art schools including the Royal College of Art under Sir Frank Short. 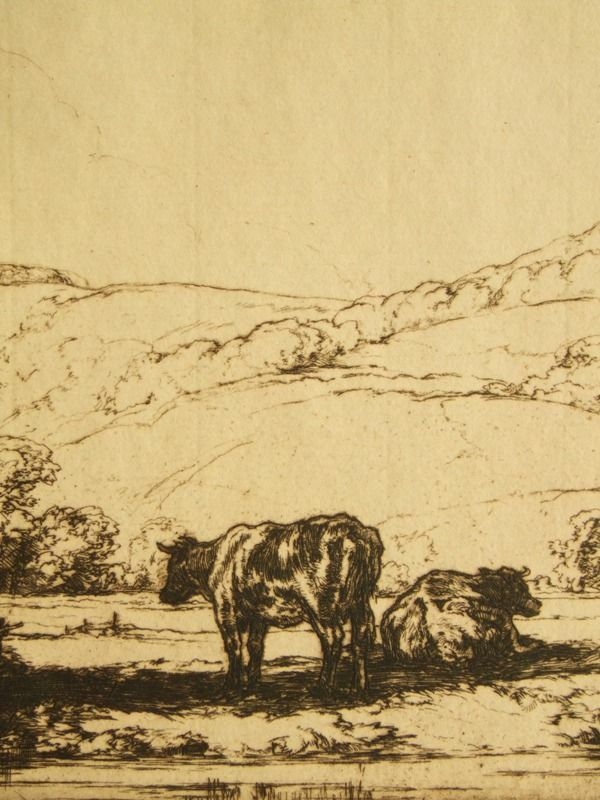 In all he produced some 160 etchings together with some aquatints, wood engravings and lithographs. 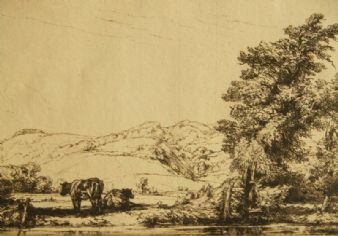 William Robins favoured flat landscapes subjects, largely devoted to trees that were etched direct onto the plate from nature. 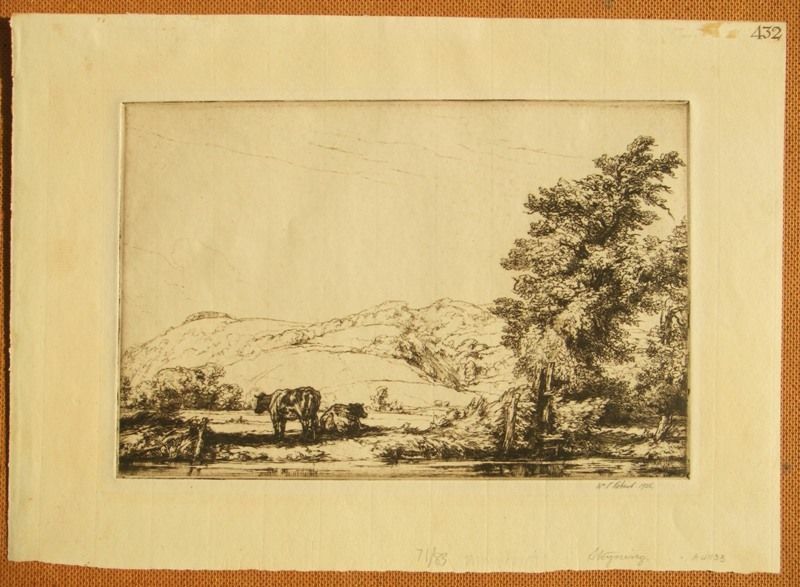 A fine etching, bright and unfaded, with rich brown ink lines, fine detail and shading, the image size measuring approximately 27 cms. x 18 cms, (10½ x 7 ins.) 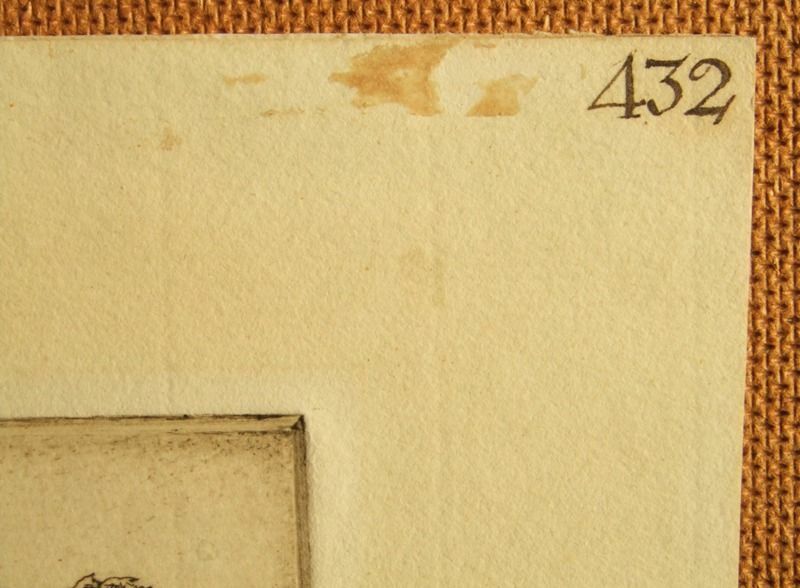 within a strong platemark and impression on a laid paper sheet measuring 37 cms. x 26 cms. (14½ x 10½ ins.) with makers watermark and deckle edges. 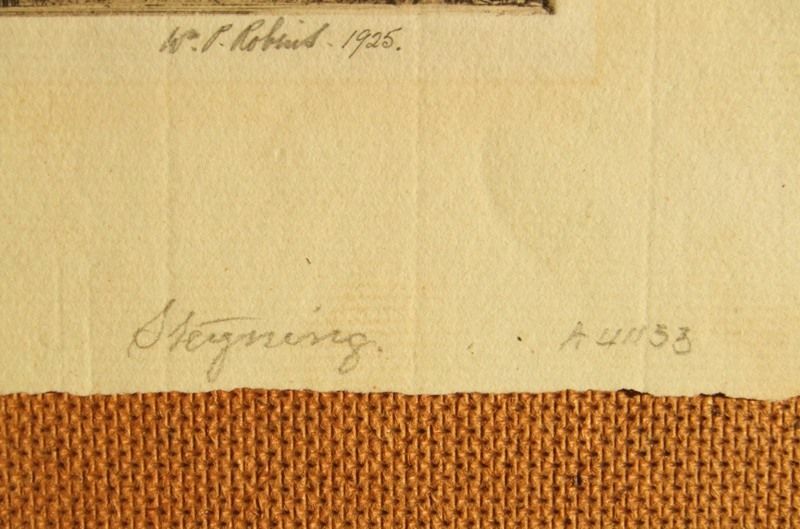 Signed in pencil by the artist in the lower margin with catalogue number. 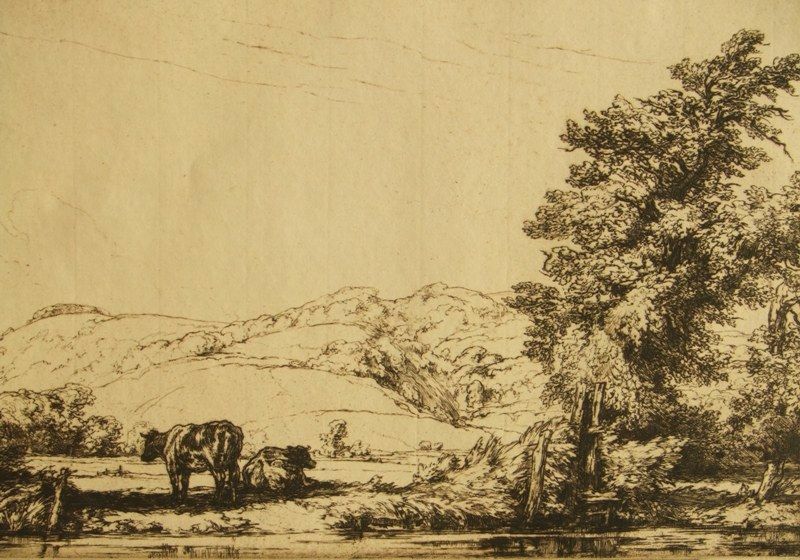 Unframed and unmounted, the condition of the image and sheet is very good, with handling marks condusive with age.